Challenge yourself! 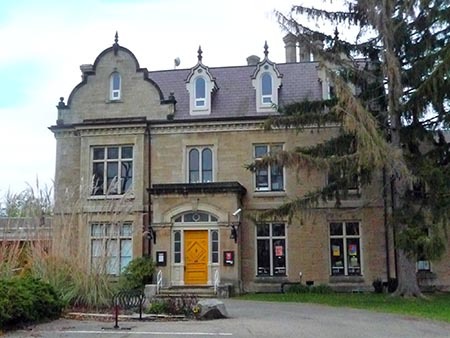 Join the ambitious participants who will walk Laura's epic 32 km trek in its entirety, from the Laura Secord Homestead in Queenston to Decew House in Thorold. It's a wonderful way to celebrate Laura Secord's legacy, and to fully understand the magnitude of her accomplishment. Recommended for: Brave and hardy Laura enthusiasts in good physical condition who are used to long hikes over variable terrain in all weather conditions. Hikers only (no bicycles, strollers or wheelchairs due to terrain). Not recommended for: People with medical conditions, physical constraints, or mobility impairments. 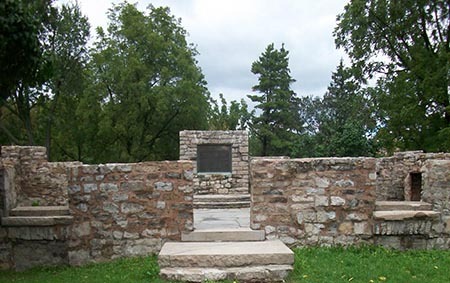 Check in at the Laura Secord Homestead at 7:00 a.m.
Meet the group of walkers at the Laura Secord Homestead at 8:00 a.m. 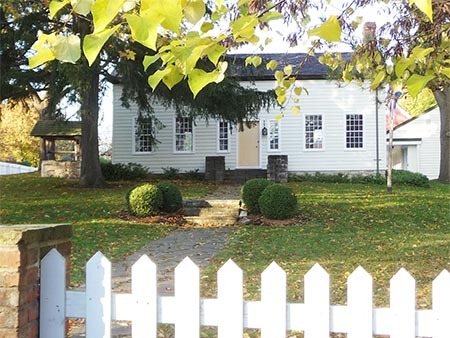 Walk through the same door Laura Secord did in 1813 from her home in Queenston when she departed on her courageous journey. Ride the shuttle bus from DeCew House back to Queenston between 2:00 p.m. and 5:00 p.m.
For medical emergencies in the field, call 911. PARTICIPATION IN THIS WALK IS ENTIRELY AT YOUR OWN RISK! THE SHUTTLE BUS SCHEDULE IS VARIABLE. A FULL ROUND TRIP TAKES BETWEEN 1.0 and 1.5 HOURS, BUT WE CANNOT GUARANTEE DEPARTURE AND ARRIVAL TIMES. ONLY LIMITED AMOUNTS OF WATER WILL BE AVAILABLE. PLEASE CARRY YOUR OWN!